Word of mouth can be a powerful thing. 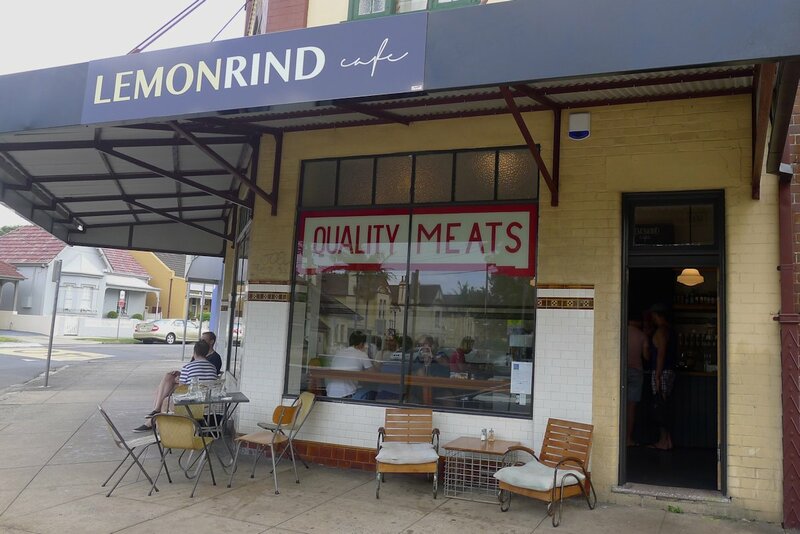 A friend told a fried who told me about Lemon Rind Café in Drummoyne and so it was that SoS decided to pay this fairly young establishment a visit. Hidden in the ‘burbs, it’s about time this gem got some air time! While the windows may proclaim that they offer outstanding beef and lamb, these are simply signs that need to stay due to heritage listing. And this is a good thing; it’s all part of the charm. You get the unmistakable feeling that you’re among friends here as soon as you walk in. 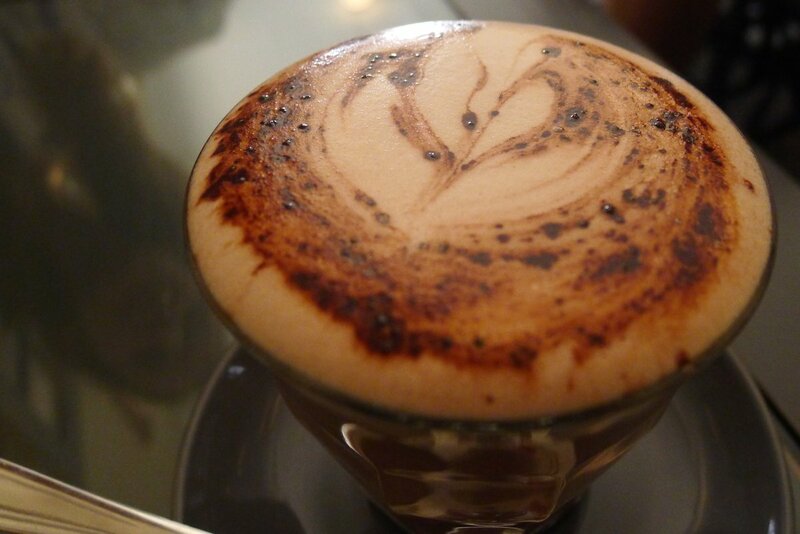 It’s spacious, the seating feels homely, the baked goods are homemade and the smiles are frequent. Also let me say that I am now a fan of eating breakfast while sitting on a sofa (we grabbed the one sofa available)! 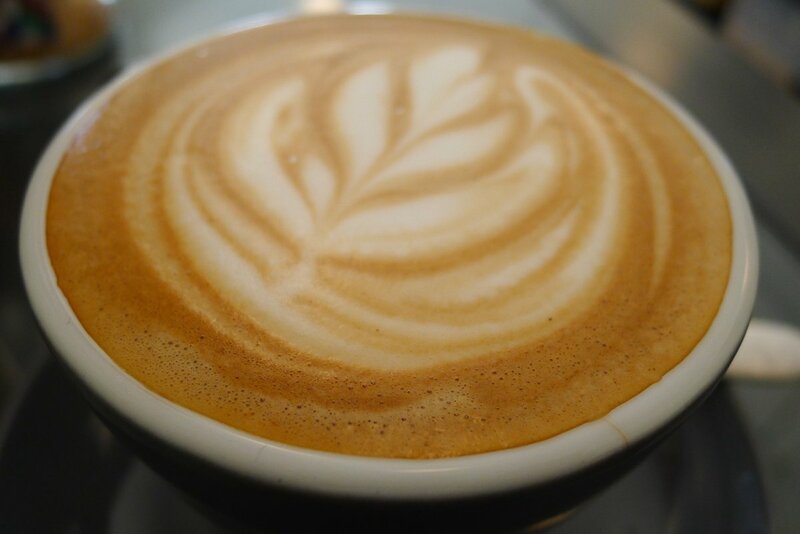 The marvelous flavours of Alchemy coffee come to the fore thanks to the skilled hand of the LR barrista. 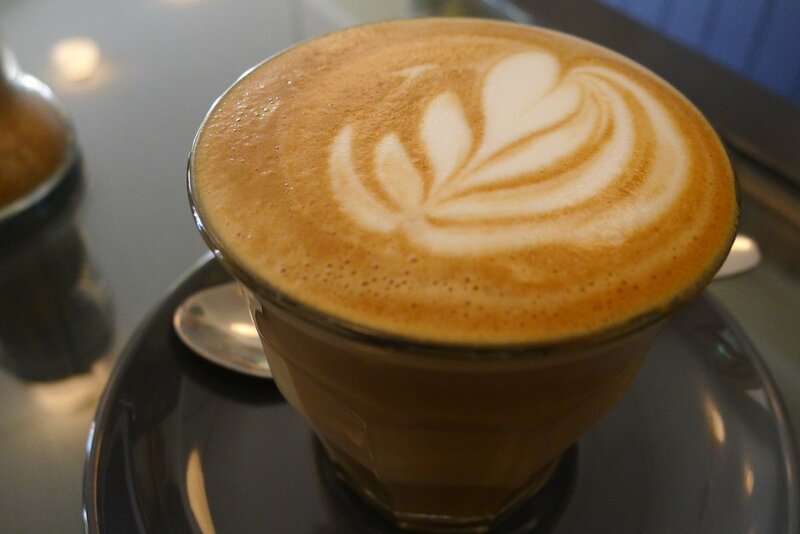 If you need a cup in Drummoyne, this is one of the best places to go. The hot chocolate was a bit on the small side but tasted great. Milkshakes (kids $4, regular $5.80) and iced chocolate ($5.80) are also available on the drinks menu. Juices ($3.60) are bottled so I can only hope that a juicer is on its way! 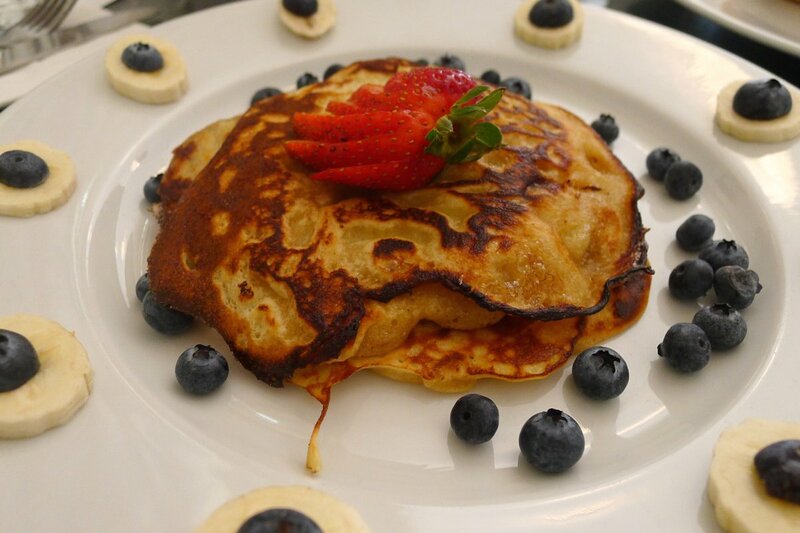 The lemon ricotta pancakes ($14.50) are a pleasant departure from the kind you’ll find in almost every breakfast spot across the city. The slight hit of lemon was fantastic and our table ordered a second serving after the first was enjoyed so much. Maple syrup is served on the side as well as seasonal fruit. While we enjoyed the flavours, no-one was won over by the presentation of the fruit that came with the dish as we thought something simpler would have looked more professional. A much better-presented dish though was the eggs Benedict ($15) which is also available with smoked salmon ($16) instead. The thick cut ham and wilted spinach were a good start with delicious crunchy toast. My guest discerned slightly too much vinegar in the eggs but they were poached just the right amount with a runny golden yolk. 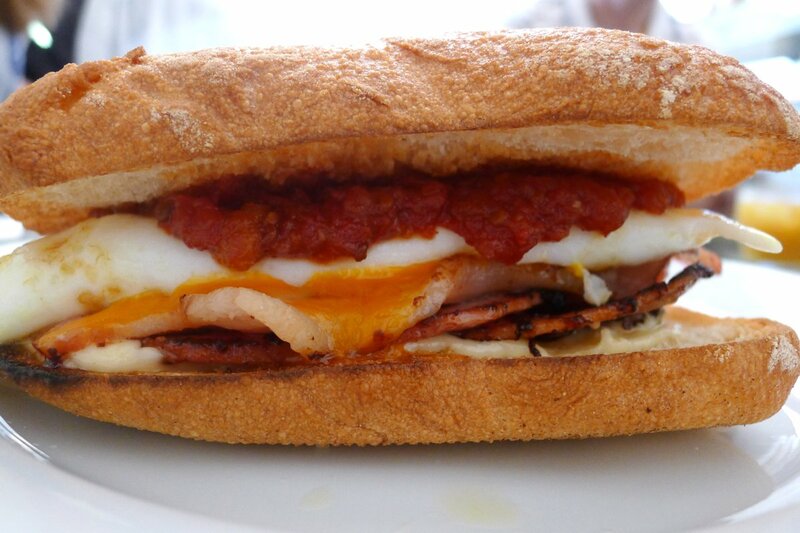 Any fan of breakfast rolls will love the bacon and egg sambo ($10). Overloaded with bacon and egg, it also receives a healthy slather of mayonnaise and home made spicy tomato relish (which isn’t very spicy, mind you). The schiacciata bread had the right amount of crunch – I’d definitely order this again. 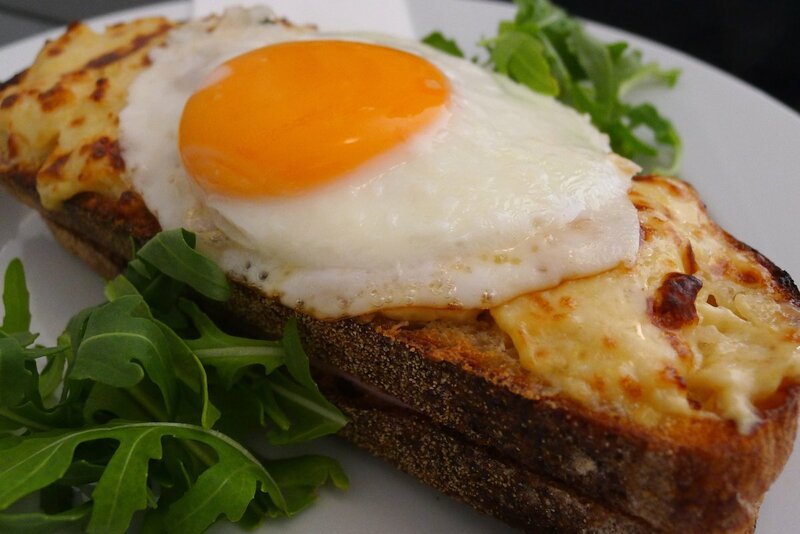 Croque monsieur or madame ($13 or $15) are available and this version is as good as any you’ll find. The dish is quite rich but sacrilegiously good thanks to mountains of Gruyere cheese and lashings of ham. The bread once more was fresh and easy to cut. 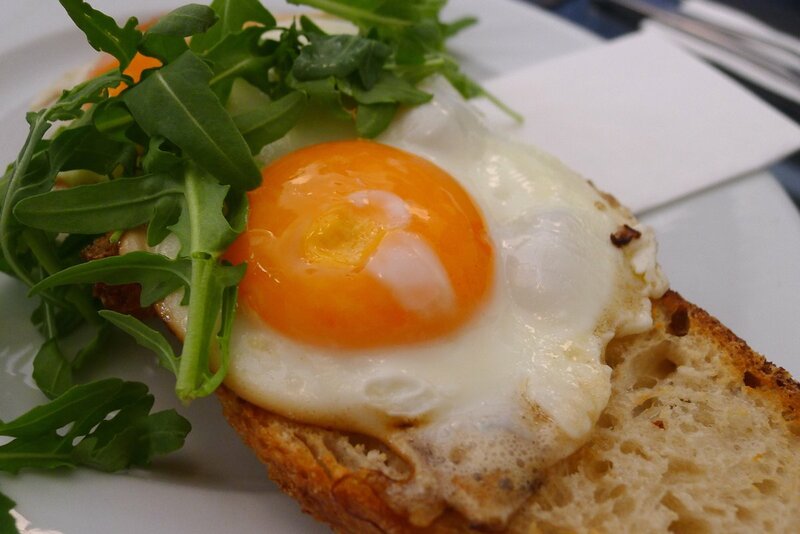 On the plainer side of things we have the egg brekky ($8) which offers eggs poached, fried or scrambled and served on toasted boulot. Not much more to say other than that this was well presented and LR are happy to accomodate any special requests or sides including sausages, bacon, smoked ham, mushrooms, haloumi, feta, spinach or avocado ($4 each). Not one dish emerged from the kitchen that didn’t look delectable. While the breakfast menu is quite small, the guests at my table were very satisfied with their meals so there’s obviously something for everyone. Breakfast is available all day, lunch is available from 11AM and let’s just say that I was very tempted. 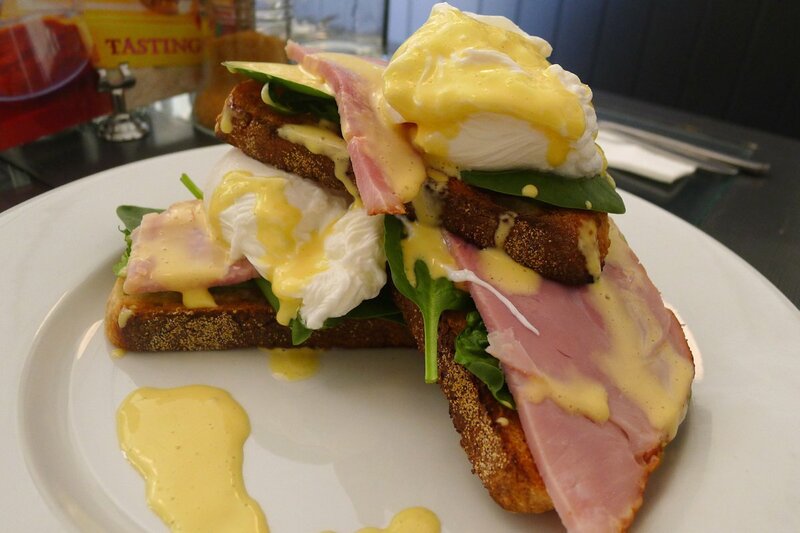 As a rule, lunch is not mentioned here so you’ll need to pay Lemon Rind Café a visit to indulge yourself.